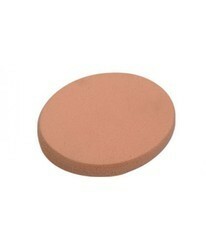 Color: Random Color.Optimize Your Beauty Routine With This 3-In-1 Multi-Functional Sponge. They provide a smooth blending and even application for liquid, cream and powder foundation. They are good and useful for smooth and flawless application. How to use product: Wet the sponge with water. Squeeze out the excess liquid, using a towel if available and bounce primer, foundation, powder, cream blush or any other complexion product across the face for flawless results.